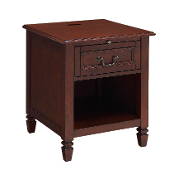 Unique end-table that has convenient USB ports hidden inside a compartment. 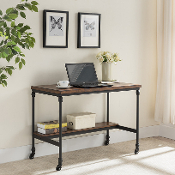 Contains a useful storage drawer and lower shelf.This well designed table is functional and will provide a way to charge your electronics with style. Copyright © 2018-2019 One Source Living. All rights reserved.